Metro Screen’s Digital Kitchen, funded by Screen NSW, looks ahead to the next 10-15 years and asks the big questions: What will the screen industry look like in 2030 and will a creative screen career pay the rent? This year’s VIVID IDEAS event launched the documentary, Screen 2030: Making My Content Pay, to a full house at the MCA. Host Tim Parsons led a panel discussion exploring the future careers of emerging content makers with some of the screen and media industry’s key thinkers including media futurist, Mark Pesce, Senior Manager of Strategy, Research and Communications at Screen Australia, Georgie McClean, Emmy Award winning producer, Marcus Gillezeau, and all media documentary producer, Ester Harding. ‘If a screen professional wants to have a career in 2030, they need to be doubling down on their story capability, their world and myth making. Those capabilities come to the front’. ‘This is the best time ever to be a writer, creator, producer or director of stories because there’s never been more diverse audiences, there’s never been more active niches and there’s never been more mediums to tell these stories’. ‘I think always a good story is a good story and if you tell a good story really well you can just tell it as a story’. Following the recent Hey Dad case and allegations against Rolf Harris for child sexual abuse, awareness about on set responsibilities for child safety is high in the screen industries. If you missed the recent Child Safe workshop at Metro Screen you might be interested in these free seminars offered by the Office of Children's Guardian. The Sydney Edit has officially gone live. Pozible is turning its attention to hyper-local innovations that are led by, and help to celebrate, the best of a community. 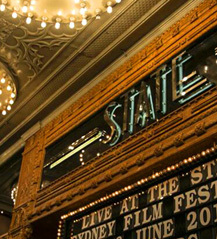 Sydney has a rich arts and entertainment scene, which people can invest in through crowdfunding. Open Channel and ScreenPro.tv have announced the Online Video Awards to recognise the work of Australian content makers, supported by FilmVictoria and YouTube. You could win a trip to YouTube’s Creator Space in Los Angeles to learn from world leaders in online video production and marketing. The Australian Directors Guild (ADG) and Screen Australia's Director’s Attachment Scheme will be Neil Armfield’s upcoming feature Holding the Man. Funded by Screen Australia and managed by the ADG, the scheme provides three director’s attachments annually. Hurry. Applications close Friday 13 June. Join us as Metro Screen presents a panel discussion, hosted by CJ Johnson, featuring the diverse group of 2014 Dendy Award finalists, who will share their short filmmaking adventures and discuss current trends at the vanguard of Australia’s short film industry, the Dendy Awards for Australian Short Films. Led by award winning Australian director, Jonathan Wald, turn your vision into reality by learning the craft of directing. Take home a certificate for your portfolio with one unit of competency from Certificate IV in Screen & Media. Hurry, course starts Thur 19 June. 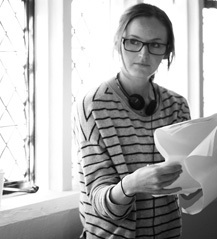 The Script Supervisor (Continuity Person) is a crucial crew member on any drama shoot and are always in demand.This course covers all the essentials and you will gain a thorough understanding of the role. Course starts Sun 22 June. 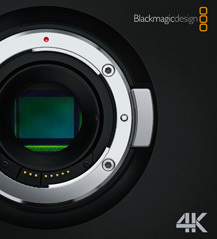 Shoot Ultra HD TV or 4K films with the new Blackmagic Production Camera 4K. You get a large Super 35 size sensor with professional global shutter combined with precision EF mount optics, high quality visually lossless compressed CinemaDNG RAW and Apple ProRes 422 (HQ)™ file recording for a self contained solution. The built in touchscreen lets you monitor, change settings and enter metadata directly on the camera! Get an online quote.